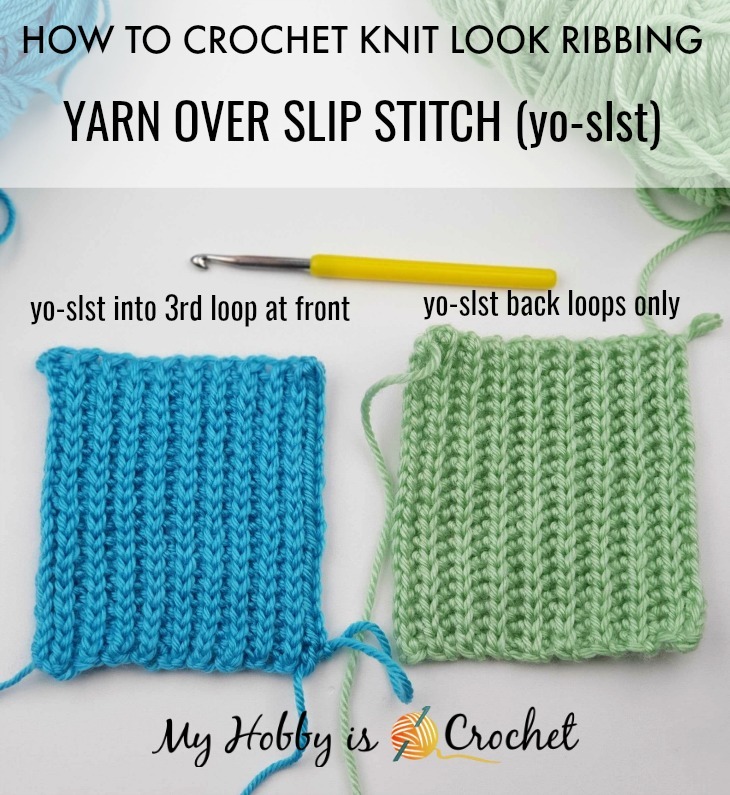 If you follow along with my blog, you might have already learned how to crochet the knit look crochet stitches that I call the Yarn Over Slip Stitch (yo-slst) and the Yarn Over Slip Stitch Back Loops Only (yo-slst-blo). 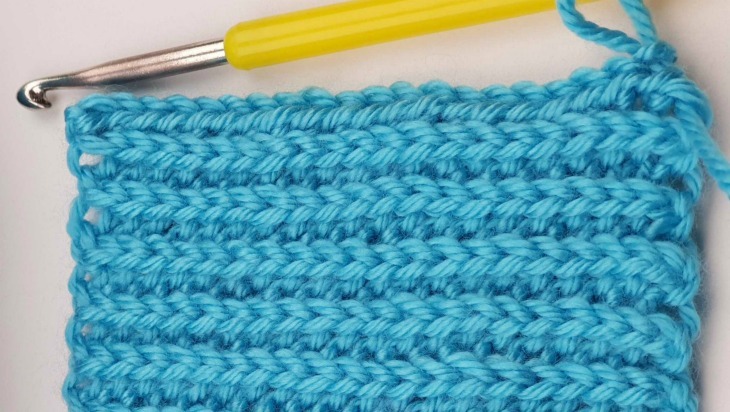 These are not standard crochet terms, because I have not seen these stitches in any crochet stitch dictionary. They are some combination between half double crochet and slip stitch. 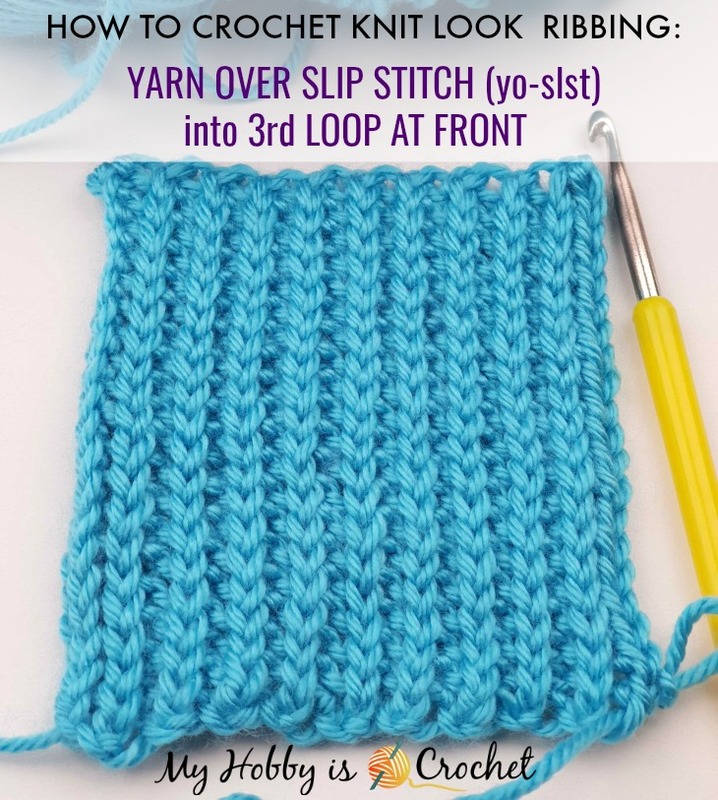 In this blog post I will show you how to crochet another variation of this stitch, the Yarn Over Slip Stitch worked into the 3rd Loop at Front (yo-slst into 3rd loop at front) or the Yarn Over Slip Stitch into 3rd loop below the front loop! 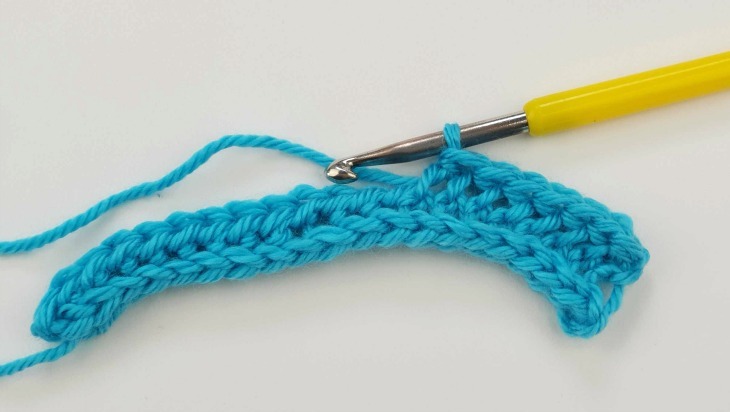 Don't lose this Crochet Tutorial! The ribbing created with the yo-slst into 3rd loop at front looks almost identical with the yo-slst-blo ribbing! Just see the picture below! 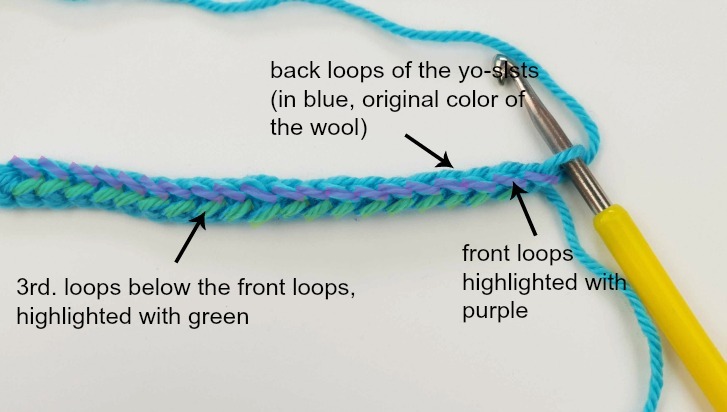 The blue sample is made using yo-slst into 3rd loops at front and the green sample is made using the yo-slst-blo! Both of these crochet ribbings are reversible and the sts worked in rows will create horizontal ribs, but once you will flip your work on the vertical you will get the vertical ribs that resemble to the knit ribbing knit 1 purl 1! 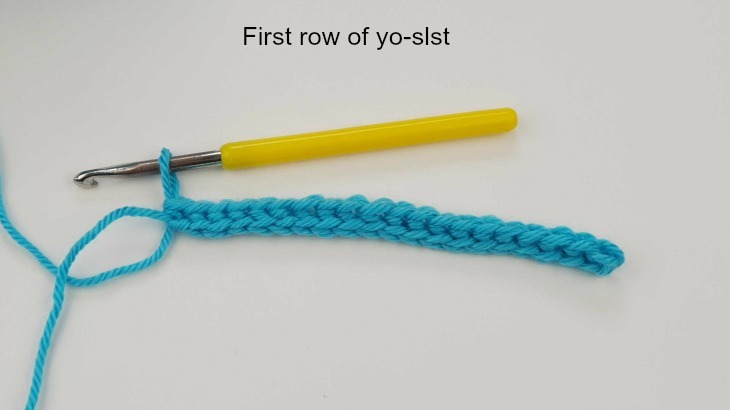 While the ribbing made with the yo-slst-blo is stretchy, the ribbing created with the yo-slst in 3rd loops is more dense and has barely stretch. For hat brims or cuffs that need elasticity, I would recommend using the yo-slst-blo! 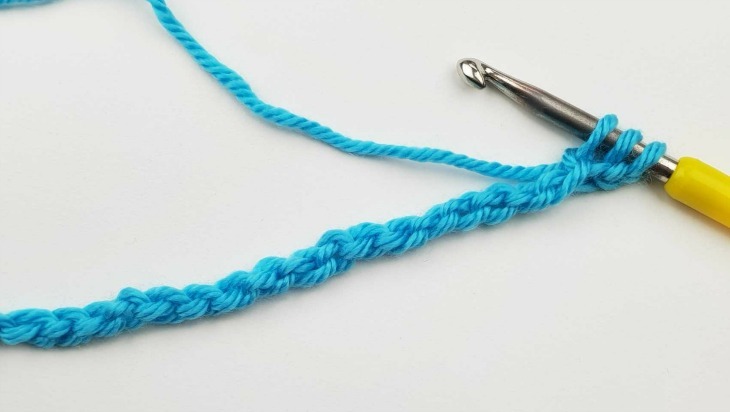 Just try both stitches and see which one do you prefer! Let me know in the comment boxes at the end of this post! - back bump of chains- See my picture tutorial. SUPPLIES: For this tutorial I have used Red Heart Soft yarn and a 5 mm/ G hook! 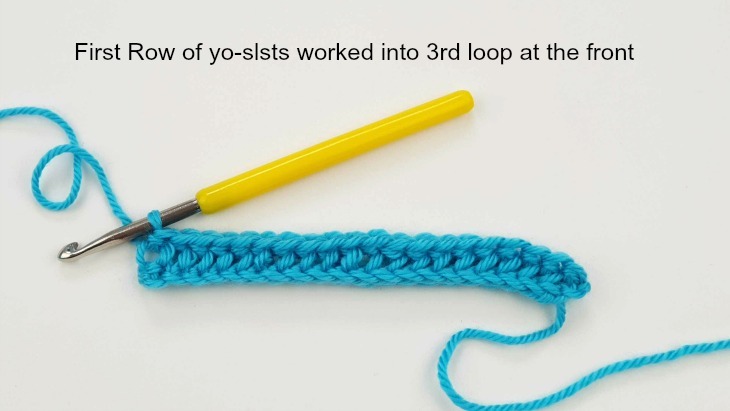 Now let’s see how to crochet into the 3rd.loop at the front of the yo-slst! Start with a foundation chain of your desired length. 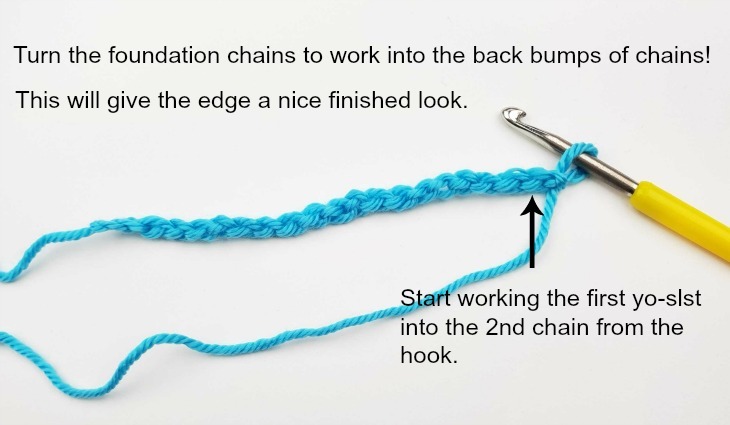 - Yarn over and draw the yarn through the chain. 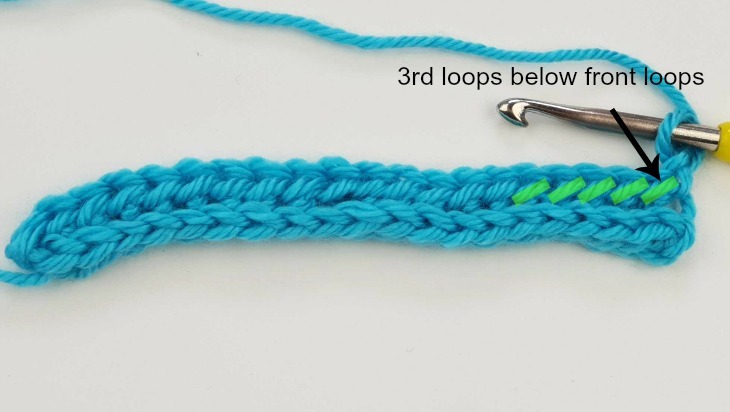 - You have now 3 loops on the hook, the same as when you’ll work a half double crochet. Stop! 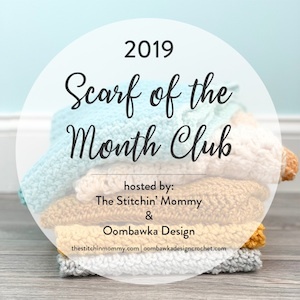 Do not yarn over again to complete a half double crochet! Instead go the the step below. 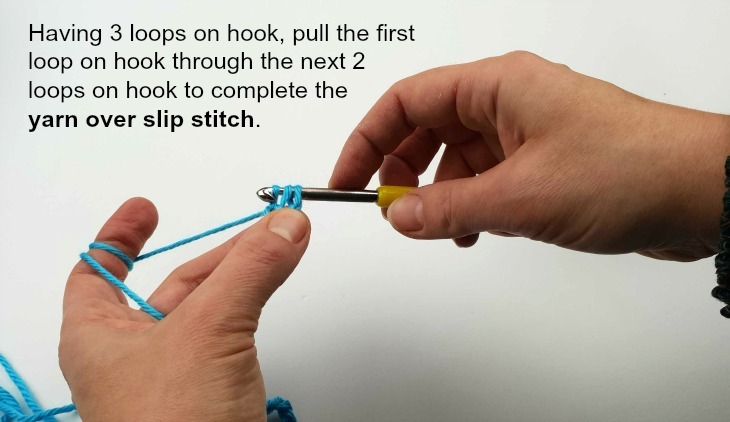 - Having the 3 loops on hook, pull/slip the first loop on hook through the next 2 loops on hook to complete a Yarn Over Slip Stitch (yo-slst). - yo and pull through the chain/ stitch. Repeat across from * to* to end of foundation chain. NOTE: If you pay attention to the yo-slst, you’ll notice that there are 3 loops: two top loops (front and back loop) and a loop below the front loop. Starting with the second row you’ll work each stitch inserting the hook into the 3rd.loop below the front loop (highlighted with green in the picture below)! Working into 3rd loop below the front loop, yo-slst into first st and yo-slst into 3rd loop at front into each stitch across the row. You notice that the knit look ridges are pushed to the back of the work. Work all the next rows as row 2, inserting the hook into the 3rd.loop at the front of the sts. Flip your work to the vertical and admire your knit look crochet ribbing! I hope you enjoyed this tutorial! For more free crochet patterns and tutorials, please visit my FREE Crochet Pattern Page!